Pvt. Bobby Joe Cozart, son of Mrs. Bertha Cozart Mavchman, Graham, Attended Graham High and Texas Military. Entered Army, 1944, trained at Camp Hood, Texas. Served in France and Germany. Awarded Purple Heart and Silver star for Gallantry with 254th Inf. Reg. of 63rd (Blood and Fire) Division. Killed in Action in Germany, March 18, 1945. 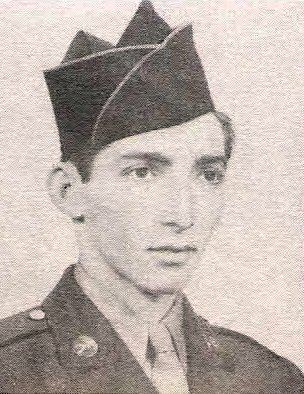 He is also listed as Bobbie Cozart on the "In Memoriam" page in the original 1940's publication, "The Men and Women in World War II From Young County Texas".